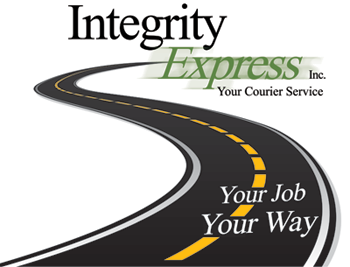 For the past 20+ years at Integrity Express, Inc., our continued pledge is to provide distinctive quality and unparalleled customer service as we strive to gain the respect and trust of our customers, suppliers, and partner vendors. non-consolidated, same day deliveries. We are available 24 hours, 7 days a week providing 20-30 minute pick ups in the Morris County area. • Our customer service team is professional, knowledgeable, and dedicated. • There will never be any speculation regarding your delivery. We provide automatic email confirmation once your package is delivered. • Our state-of-the-art software program is industry specific allowing us to take your information accurately and efficiently. • Upon request, we offer notarized affidavits (NJ State Notaries Public on site). • Our state-of-the-art computer software emails your precise order information directly to our driver's smart phone. • Our instant communication with our drivers enables us to make faster pick ups and deliveries. We can always tell you their exact status or location. • Call us anytime or order online from any device. • Our technology allows us to provide detailed, bi-monthly invoices via email. • Our professional and courteous drivers are screened and trained specifically to your industry. • They are always identifiable (name tags) and will always represent your company in a professional and positive manner. • Each driver is equipped with the latest GPS technology and carries a smart phone at all times.